When Samuel Gravely Jr. was born in segregated Richmond 88 years ago, he never could have imagined a career as a U.S. naval officer - not to mention becoming the first black officer to command a warship and, eventually, the service's first black admiral. Gravely died in 2004, but this month marks yet another first: The first warship named for a black admiral was commissioned over the weekend. On Wednesday, the brand-new destroyer pulled into Norfolk, its new homeport. The guided-missile destroyer, built for about $1 billion, is the 57th in the Arleigh Burke class. Its crew of 276 is led by Cmdr. Douglas Kunzman. As the ship made the turn toward Pier 6 at Norfolk Naval Station on Wednesday afternoon, Gravely's widow, Alma, said her husband undoubtedly would have been proud to have a ship named after him. But he probably wouldn't show it, because he was remarkably humble. "It's really an honor to sit here and watch it come in," she said. Gravely enlisted in the naval reserves and was soon selected for officer candidacy. He was the first black officer commissioned through a reserve officer training course. After a stint aboard a submarine chaser with an all-black crew - a way for the Navy to prove to the nation that black sailors were as competent as their white counterparts - Gravely left active service and finished his history degree at Virginia Union University. It was a short break from what became his career. In 1949, he was recalled to active duty. He quickly rose to command four ships: the Theodore Chandler, Falgout, Taussig and Jouett. His final sea assignment was commander of the Navy's 3rd Fleet. Alma Gravely recalled some of the early discrimination her husband faced. Once, while in Florida with the crew of a submarine chaser, he decided to accompany some enlisted crew members to an enlisted club, knowing the officers club was off- limits to black officers. Someone at the enlisted club tried to have him arrested for impersonating an officer - a charge quickly dropped once the boat's commanding officer confirmed he was, in fact, a naval officer. Gravely said having a ship named for her husband is the highlight of his naval career, although she also was pleased that Prince William County named a school for him. The Gravely is the second new destroyer to make its home in Norfolk in as many days. Sitting across the pier was the Jason Dunham, named for a warrior from a more recent era. Dunham threw himself on a grenade in Iraq in 2004, an action that resulted in him becoming the first Marine to receive the Medal of Honor since Vietnam. The Gravely arrived, aft first, as docile as a lamb, nudged into place by a tug boat. Make no mistake, though: It has the capabilities of a lion, which graces the ship's official crest. The Gravely is armed with an array of firepower: dozens of Tomahawk cruise missiles, as well as surface-to-air missiles, torpedoes and a close-in weapon system. Kunzman, the commanding officer, touted the ship's modern, multi mission capability. But he was also mindful of the past, and the legacy Gravely left. The ship's motto, "First to Conquer," pays homage to Gravely being the "first to do so many things," he said. And it's just flat out fun to be skipper of a brand-new ship. "It still smells new," he said. "Like it's just out of bubble wrap. It's a brand-new Cadillac to myself and my sailors." Rebecca Lee Crumpler challenged the prejudice that prevented African Americans from pursuing careers in medicine to became the first African American woman in the United States to earn an M.D. degree, a distinction formerly credited to Rebecca Cole. Although little has survived to tell the story of Crumpler's life, she has secured her place in the historical record with her book of medical advice for women and children, published in 1883. Crumpler was born in 1831 in Delaware, to Absolum Davis and Matilda Webber. An aunt in Pennsylvania, who spent much of her time caring for sick neighbors and may have influenced her career choice, raised her. By 1852 she had moved to Charlestown, Massachusetts, where she worked as a nurse for the next eight years (because the first formal school for nursing only opened in 1873, she was able to perform such work without any formal training). In 1860, she was admitted to the New England Female Medical College. When she graduated in 1864, Crumpler was the first African American woman in the United States to earn an M.D. degree, and the only African American woman to graduate from the New England Female Medical College, which closed in 1873. In her Book of Medical Discourses, published in 1883, she gives a brief summary of her career path: "It may be well to state here that, having been reared by a kind aunt in Pennsylvania, whose usefulness with the sick was continually sought, I early conceived a liking for, and sought every opportunity to relieve the sufferings of others. Later in life I devoted my time, when best I could, to nursing as a business, serving under different doctors for a period of eight years (from 1852 to 1860); most of the time at my adopted home in Charlestown, Middlesex County, Massachusetts. From these doctors I received letters commending me to the faculty of the New England Female Medical College, whence, four years afterward, I received the degree of doctress of medicine." Dr. Crumpler practiced in Boston for a short while before moving to Richmond, Virginia, after the Civil War ended in 1865. Richmond, she felt, would be "a proper field for real missionary work, and one that would present ample opportunities to become acquainted with the diseases of women and children. During my stay there nearly every hour was improved in that sphere of labor. The last quarter of the year 1866, I was enabled . . . to have access each day to a very large number of the indigent, and others of different classes, in a population of over 30,000 colored." She joined other black physicians caring for freed slaves who would otherwise have had no access to medical care, working with the Freedmen's Bureau, and missionary and community groups, even though black physicians experienced intense racism working in the postwar South. "At the close of my services in that city," she explained, "I returned to my former home, Boston, where I entered into the work with renewed vigor, practicing outside, and receiving children in the house for treatment; regardless, in a measure, of remuneration." She lived on Joy Street on Beacon Hill, then a mostly black neighborhood. By 1880 she had moved to Hyde Park, Massachusetts, and was no longer in active practice. Her 1883 book is based on journal notes she kept during her years of medical practice. No photos or other images survive of Dr. Crumpler. The little we know about her comes from the introduction to her book, a remarkable mark of her achievements as a physician and medical writer in a time when very few African Americans were able to gain admittance to medical college, let alone publish. Her book is one of the very first medical publications by an African American. EDITOR'S NOTE: Thank you to Dr. Barbara Collins-Brooks, daughter of Tee Collins and one of our dedicated listeners, for this "Little Known Black History Fact." Harlem native Tee Collins was the first African-American animator to establish his own studio in New York. He was best known for his creation of the character Wanda the Witch on "Sesame Street." It was the story of a witch with a pet weasel who washed her wirey wig on Wednesday. His new animation would play on the first episode of "Sesame Street" in 1969 and would carry over into the book, “All About Sesame Street.” The favored skit would be followed by words from comedian Carol Burnett. Collins would receive two international broadcasting awards for his work. Other skits he introduced included Nancy the Nannygoat and X is for Xylophone, though he once jokingly said, "It was hard to come up with a happy word for X." Collins' skills with animation took him to "Sesame Street," but he originally got his start animating the Piel's Beer commercials, starring Bert and Harry Piel, in the early 1960s. He would also produce animated films in Puerto Rico, Nigeria and the Dominican Republic. By the 1990s, Collins was still making history with his skill. His animation of "The Songhai Princess," written by Dr. Edward Robinson, introduced the first animated black princess ever on video. It was a story about Princess Nzinga, the daughter of a 15th-century Songhai Emperor, who is kidnapped from her palace by the Wicked Witch of the Mountains and rescued by her hero. "The Songhai Princess" sold 20,000 copies and won four national awards in animation. The movie was most recently featured at the Dusable Museum of African-American History in Chicago. Collins taught as a freelance professor for 11 years at the University of Central Florida before his death. HBCUsOnline is a unique education services company, inspired and founded by Tom Joyner. HBCUsOnline proudly partners with select Historically Black Colleges and Universities (HBCUs) to provide access to accredited online degree programs, educational resources, student support and empowerment tools to help you be successful. Now more than ever, where you get your degree matters. Many of today’s online education providers fail to adequately invest in academic rigor, relevance and student success, which leaves far too many with little or nothing to show for their experience except debt and frustration. HBCUsOnline provides a better alternative and a better value! We embrace and provide each student with the “community of support” that has long been the spirit and cornerstone of Historically Black Colleges and Universities. We have deliberately combined the best of what HBCUs have to offer – tradition, support, a strong alumni network and a rich heritage – with the convenience, flexibility and value of technology, all of which gives you the opportunity to make a better choice for your online education. What is a Community of Support? The culture of HBCUs is rooted in providing the support each student needs to succeed. 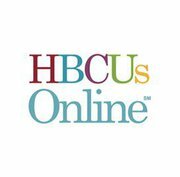 HBCUsOnline is unique because it builds upon this legacy and customizes support to enhance your success in an online learning environment. Student Support PlusSM and “The Yard” are unique features of HBCUsOnline that are designed for you. Student Support Plus is your personalized program for success and “The Yard” is a virtual community that brings campus life straight to your computer. Find out more about these dynamic offerings on HBCUsOnline by signing up today to access more information! "Two of the most important books your son or daughter will ever read!" M.K. Asante is an award-winning author, filmmaker, and professor who thePhiladelphia Inquirer calls "a rare, remarkable talent that brings to mind the great artists of the Harlem Renaissance." The author of three celebrated books, Asante is the recipient of the 2009 Langston Hughes Award. His latest book, It's Bigger Than Hip Hop, was hailed by the Los Angeles Times as "An empowering book that moves you to action and to question status quo America." His other books are Beautiful. And Ugly Tooand Like Water Running Off My Back, winner of the Jean Corrie Prize from the Academy of American Poets. An acclaimed filmmaker, Asante directed The Black Candle, a film he co-wrote with renowned poet Maya Angelou who also narrates the prize-winning film. He wrote and produced the film 500 Years Later, winner of five international film festival awards as well as the Breaking the Chains award from the United Nations. He also produced the multi award-winning film Motherland. Asante studied at the University of London, earned a BA from Lafayette College, and an MFA from the UCLA School of Film and Television. A dynamic speaker, Asante has presented in twenty-five countries as well as throughout the United States at hundreds of colleges, universities, libraries, conferences, and festivals. He has been featured on numerous TV and radio programs including the CBS Early Show, NBC News, Tom Joyner Morning Show and NPR. Asante’s essays on music, politics, and culture have been published in USA Today, Huffington Post, and the San Francisco Chronicle. This young man will make you Proud!!! The Black Candle is a landmark, vibrant documentary film that uses Kwanzaa as a vehicle to explore and celebrate the African-American experience. Narrated by world renowned poet Maya Angelou and directed by award-winning author and filmmaker M.K. Asante, The Black Candle is an extraordinary, inspirational story about the struggle and triumph of family, community, and culture. Filmed across the United States, Africa, Europe and the Caribbean, The Black Candle is a timely illumination on why the seven principles of Kwanzaa (unity, self-determination, collective work and responsibility, cooperative economics, purpose, creativity and faith) are relevant today. The first feature film on Kwanzaa, The Black Candle traces the holiday’s growth from the first celebration in 1966 to its present-day reality as a global holiday embraced by over 20 million celebrants. With vivid cinematography and an all star cast that features NFL Legend Jim Brown, Hip Hop icon Chuck D, Kwanzaa's founder Dr. Maulana Karenga, artist Synthia Saint James and many others, The Black Candle is more than a film about a holiday: it’s a celebration of a people! Projected onto the wall was a PowerPoint collage summing up some highlights of Johnson’s career: risk assessment he’d done for the space shuttle Atlantis; work on the nuclear power source for NASA’sGalileo spacecraft; engineering help on the tests that led to the first flight of the B-2 stealth bomber; the development of an energy-dense ceramic battery; and the invention of a remarkable, game-changing weapon that had made him millions of dollars—a weapon that at least one of the men in the room, the father of two small children, recognized immediately as the Super Soaker squirt gun. Johnson’s latest JTEC prototype, which looks like a desktop model for a next-generation moonshine still, features two fuel-cell-like stacks, or chambers, filled with hydrogen gas and connected by steel tubes with round pressure gauges. Where a steam engine uses the heat generated by burning coal to create steam pressure and move mechanical elements, the JTEC uses heat (from the sun, for instance) to expand hydrogen atoms in one stack. The expanding atoms, each made up of a proton and an electron, split apart, and the freed electrons travel through an external circuit as electric current, charging a battery or performing some other useful work. Meanwhile the positively charged protons, also known as ions, squeeze through a specially designed proton-exchange membrane (one of the JTECelements borrowed from fuel cells) and combine with the electrons on the other side, reconstituting the hydrogen, which is compressed and pumped back into the hot stack. As long as heat is supplied, the cycle continues indefinitely. One of the hottest places in the world is set to become the site of Africa's most ambitious venture in the battle against global warming. About 365 giant wind turbines are to be installed in desert around Lake Turkana in northern Kenya -- used as a backdrop for the film The Constant Gardener -- creating the biggest windfarm on the continent. When complete in 2012, the $881-million project will have a capacity of 300MW, a quarter of Kenya's current installed power and one of the highest proportions of wind energy to be fed in a national grid anywhere in the world. Until now, only North African countries such as Morocco and Egypt have harnessed wind power for commercial purposes on any real scale on the continent. But projects are now beginning to bloom south of the Sahara as governments realise that harnessing the vast wind potential can efficiently meet a surging demand for electricity and ending blackouts. Already Ethiopia has commissioned a $314-million, 120MW farm in Tigray region, representing 15% of the current electricity capacity, and intends to build several more. Tanzania has announced plans to generate at least 100MW of power from two projects in the central Singida region, more than 10% of the country's current supply. In March, South Africa, whose heavy reliance on coal makes its electricity the second most greenhouse-gas intensive in the world, became the first African country to announce a feed-in tariff for wind power, whereby customers generating electricity receive a cash payment for selling that power to the grid. Kenya is trying to lead the way. Besides the Turkana project, which is being backed by the African Development Bank, private investors have proposed establishing a second windfarm near Naivasha, the well-known tourist town. And in the Ngong hills near Nairobi, the Maasai herders and elite long-distance athletes used to braving the frigid winds along the escarpment already have towering company: six 50m turbines from the Danish company Vestas that were erected last month and will add 5,1MW to the national grid from August. Another dozen turbines will be added at the site in the next few years. Christopher Maende, an engineer from the state power company KenGen, which is running the Ngong farm and testing 14 other wind sites across the country, said local residents and herders were initially worried that noise from the turbines would scare the animals. "Now they are coming to admire the beauty of these machines," he said. Kenya's electricity is already very green by global standards. Nearly three-quarters of KenGen's installed capacity comes from hydropower, and a further 11% from geothermal plants, which tap into the hot rocks a mile beneath the Rift Valley to release steam to power turbines. Currently fewer than one-in-five Kenyans has access to electricity but demand is rising quickly, particularly in rural areas and from businesses. At the same time, increasingly erratic rainfall patterns and the destruction of key water catchment areas have affected hydroelectricity output. Low water levels caused the country's largest hydropower dam to be shut down last month. As a short-term measure KenGen is relying on imported fossil fuels, such as coal and diesel. But within five years the government wants to drastically reduce the reliance on hydro by adding 500MW of geothermal power and 800MW of wind energy to the grid. Not only are they far greener options than coal or diesel, but the country's favourable geology and meteorology make them cheaper alternatives over time. The possibility of selling carbon credits to companies in the industrialised world is an added financial advantage. "Kenya's natural fuel should come from the wind, hot underground rock and the sun, whose potential has barely even been considered," said Nick Nuttall, spokesperson for the United Nations Environment Programme. "After the initial capital costs this energy is free." The Dutch consortium behind the Lake Turkana Wind Power (LTWP) project has leased 66 000 hectares of land on the eastern edge of the world's largest permanent desert lake. The volcanic soil is scoured by hot winds that blow consistently year round through the channel between the Kenyan and Ethiopian highlands. According to LTWP, which has an agreement to sell its electricity to the Kenya Power & Lighting Company, the average wind speed is 11m per second, akin to "proven reserves" in the oil sector, said Carlo Van Wageningen, chairperson of the company. "We believe that this site is one of the best in the world for wind," he said. If the project succeeds, the company estimates that there is the potential for the farm to generate a further 2 700MW of power, some of which could be exported. First, however, there are huge logistical obstacles to overcome. The remote site of Loiyangalani is nearly 480km north of Nairobi. Transporting the turbines will require several thousand truck journeys, as well as the improvement of bridges and roads along the way. Security is also an issue as the region is known bandit country, and many locals are armed with AK-47 assault rifles. LTWP also has to construct a 425km transmission line and several substations to connect the windfarm to the national grid. It has promised to provide electricity to the closest local towns, currently powered by generators. At the end of 2008, Africa's installed wind power capacity was only 593MW. But that is set to change fast. Egypt has declared plans to have 7 200MW of wind electricity by 2020, meeting 12% of the country's energy needs. Morocco has a 15% target over the same period. South Africa and Kenya have not announced such long-term goals, but with power shortages and wind potential of up to 60 000MW and 30 000MW respectively, local projects are expected to boom. With the carbon credit market proving strong incentives for investment other types of renewable energy are also set to take off. Kenya is planning to quickly expanding its geothermal capacity, and neighbouring Rift Valley countries up to Djibouti are examining their own potential. As technology improves and costs fall, solar will also enter the mix. Germany has already publicised plans to develop a €400-billion solar park in the Sahara.